How JLL uses ‘locational intelligence’ to move agents out of the data dark ages. 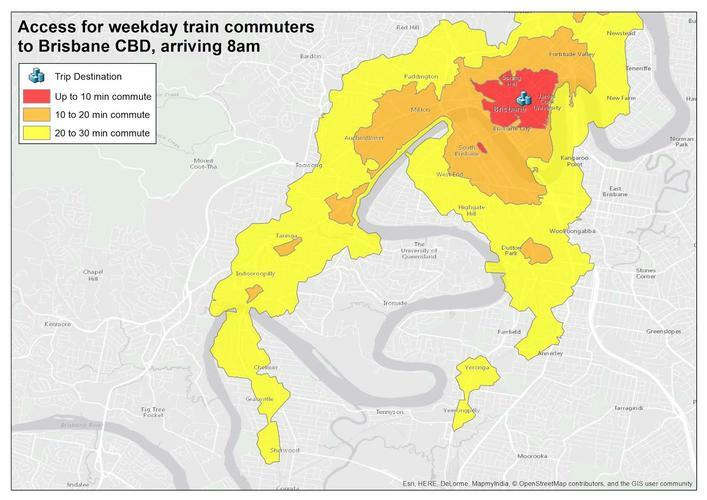 A heat map showing the time it takes to travel to an office from various locations around Brisbane. “JLL has got a lot of data, we probably have more data on commercial real estate than anyone,” says the real estate firm’s head of IT, Andrew Clowes. But the challenge, according to Clowes, is convincing agents across Australia to use ‘locational intelligence’ to help them make decisions about the best locations for commercial properties rather than just rely on their experience. “Locational intelligence is something I have been passionate about for many years. We [JLL] don’t use data that well, we are a real estate firm and we are all about space and decisions that people make based on location and revenue,” Clowes tells CIO Australia. Over time, JLL has collected a lot of data through its property management and corporate solutions platforms. This information is now being combined with data the company has purchased from other providers. One of these providers is Here, a developer of mapping and location technology that is backed by a consortium of automotive companies which includes Audi AG, BMW Group, and Daimler AG. JLL is also hoping to build APIs between its platforms and those provided by CoreLogic RP Data, a supplier of property information and analytics services. The company is using its data analysis prowess to deliver results for its clients. In late 2015 one customer wanted to relocate one of its industrial facilities to cut transport costs while minimising the impact on its staff. JLL gathered data relating to traffic, where staff live and clients are located, and vehicle running costs, and ran this data through 248 test locations using multi-variant data analysis techniques to create ‘heat maps.’ This would help the firm determine the best location for the facility. Tech staff selected sample locations – in this case the geographic centre of a postcode – before mapping each postcode to other variables. These included how long it would take each staff member to drive to each of these locations. “To get that, we used the traffic/route analysis data, which we had previously purchased. This helped us build the drive time heat map,” says Clowes. This ‘drive time’ heat map enabled this customer to determine the commute time from various locations for staff and clients. A ‘transport cost’ heat map also allowed the company to determine which routes would be the most cost-effective. “To create a transport cost heat map, we mapped all the customer locations and then the client told us how many trips were made to each location over the course of a year. We then mapped what the transport costs would be to each actual customer location from each theoretical potential new depot location. “This is where computations get large – it’s in the tens of millions of separate calculations to optimise the answer,” he says. Data-driven intelligence is enabling JLL to have a completely different discussion with its clients, one that is based on absolute fact. “We can now go to market, go to a developer, create a design and say, ‘this is the location where we think you should build’, rather than what would have happened in the past where we select [a location] because it looks good,” says Clowes. 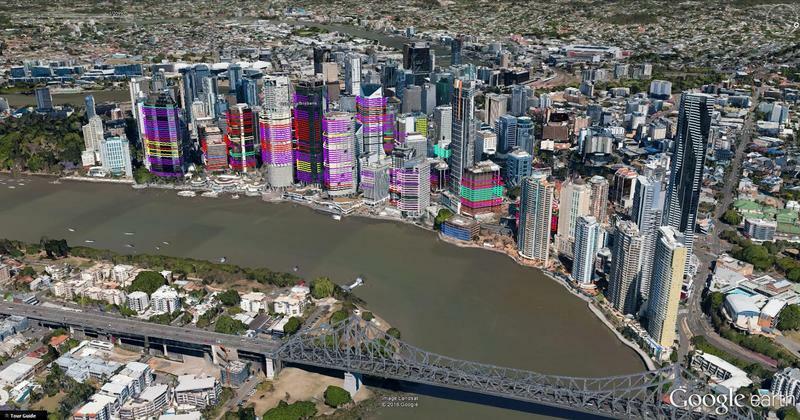 The ‘Golden Triangle’ leases in Brisbane’s commercial district. Images are built with data rather than raster pictures. All leases are ‘clickable’ and drill back to source data held in Microsoft Dynamics CRM. "Real estate agents don’t typically live in the data world. My line to people is that if you don’t get comfortable with data, you’re not going to have a job. This is a brave new world, you don’t need to understand how we manipulate data and how we build algorithms, but you need to understand that is what is going to answer questions for the real estate [industry]. Currently, three IT staff at JLL are working on data analysis and around 60 people across the organisation use the ESRI online mapping tool. “We will always have highly skilled technical data analysts and data scientists but what we want to do is enable the business to go to ESRI online, pump in their data and produce a data map. We are doing this now. "The message I am giving at director level is you guys have got to learn to get comfortable with this. It’s no longer acceptable [for our leadership] to say, ‘I am not a technology person,” Clowes says.